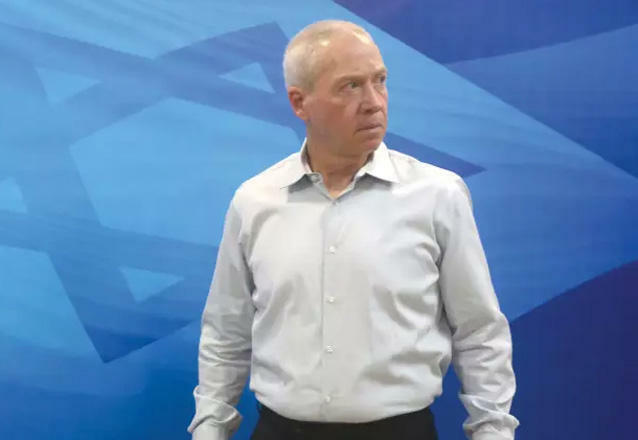 "Israel is ready to make peace with every Arab country", Construction Minister and former OC Southern Command Yoav Gallant told The Jerusalem Post in an exclusive interview. “All of the relations we have with Arab countries, every relationship that is conducted behind closed doors and not publicly, this is done by their own choice. Israel is ready for peace with every Arab country,” Gallant, who is also a member of the security cabinet, told the Post in his office in Jerusalem ahead of the paper’s annual Diplomatic Conference. “If you look at the picture, there is no real reason for Saudi Arabia or the Gulf states to fight with Israel. We have shared interests, a shared enemy called Iran, which threatens Saudi Arabia from close with all that it has. And therefore there is no reason we should not be in the process to have peace in the region,” he said. While Israel has no official ties with any Arab country except for Egypt and Jordan, the relationships with Saudi Arabia and Gulf states have grown stronger in recent years due to the shared concerns about Iran’s actions and ambitions in the Middle East. According to Gallant, who will be addressing the Jerusalem Post Diplomatic Conference in Jerusalem on November 21, the threat of Iran’s expansion in the region is a common threat for Israel and all Arab states, as well as the West. “The Iranians are the most significant and dangerous threat to Israel and the entire Western world. The distance from Iran to the Mediterranean Sea is around 1,500 km. – they have no business being here,” he said. “But Iran is a terrorist imperialist regime which is trying to build nuclear weapons,” he continued, explaining that Tehran “controls” three countries outside its borders – in Iraq through its Shi’ite militias, in Lebanon through Hezbollah, and in Yemen through the Houthi rebels – and is trying very hard to entrench itself in Syria, which would pose a threat to both Jordan and Israel. “We need to stop the Shi’ite fire,” Gallant stressed, emphasizing the need for an international coalition with the United States, Europe and Russia to push Iran and Hezbollah out of Syria. “We need to make sure we don’t make the same mistake that we did in Lebanon and allow an Iranian military presence in Syria,” he said, adding that Israel cannot allow the Syrian regime to have access to advanced weaponry which makes its way from Iran to Lebanon via Syria. “We can take out Iran from Syria, but we need to continue having a coalition with those who can help us,” he said, explaining that there is no country that wants Iran to remain in Syria. While Gallant did not mention the Gulf states or Saudi Arabia as part of that coalition, in October IDF Chief of Staff Lt.-Gen. Gadi Eisenkot met with his counterparts from several Arab countries, including Saudi Arabia’s Chairman of the General Staff Gen. Fayyadh bin Hamid al-Ruwaili, on the sidelines of the Countering Violent Extremist Organizations Conference for military commanders in Washington, reportedly discussing several regional issues, including Iran. Relations between Iran and Saudi Arabia are at their worst in years with both accusing the other of subverting regional security. Saudi Arabia’s Crown Prince Mohammed bin Salman caused an uproar earlier this year when he recognized Israel’s right to exist. While the aforementioned meeting seems to have been the first publicized meeting between Eisenkot and Ruwaili, it is the second consecutive year that the two officers attended this conference, where they are believed to have also spoken about the threat posed by Iran. Last November, following Eisenkot’s first participation in the conference, he gave an unprecedented interview to the Saudi Elaph newspaper based in London and offered to share Israeli intelligence about Iran with Riyadh, telling the newspaper that what he heard from the Saudis about Iranian expansion was “identical” to Israeli concerns. The Houthis, who are armed by Iran and reported to have been trained by Hezbollah, have also fired several ballistic missiles into Saudi Arabia, including one that targeted Riyadh a day before US President Donald Trump visited the kingdom last May. According to Gallant, Hezbollah is Iran’s frontward army and therefore it is important that American sanctions begin. Thanking Trump and his administration for leaving the Joint Comprehensive Plan of Action nuclear deal, Gallant said it “is was the most significant development” for Israel, which had been opposed to the deal. “I want to thank Trump and his administration for what they said when they left the nuclear deal – that it doesn’t matter what is signed, we know you are lying to us. When America says something like that, it has a major effect on Iran in terms of sanctions and political dilemmas. It makes the Iranians deal with their imperialist dreams,” he said, adding that he hopes the pressure will continue. In August Defense Minister Avigdor Liberman said that Iran was providing funding to the Islamic Revolutionary Guard Corps’ Quds Force in Syria, Hezbollah, Shi’ite militias in Iraq and Houthi militias in Yemen, as well as Hamas and Islamic Jihad in Gaza, costing them $2.5 billion a year, “despite all the difficulties and internal issues” in the country, Liberman stressed. “Iran wants to have Israel busy on several fronts – in Gaza, Lebanon and Syria – while at the same time it builds up its nuclear arsenal. It’s an asymmetric war,” Gallant said. Just days after the interview was conducted, Prime Minister Benjamin Netanyahu his wife, Sara, and senior intelligence officials met the sultan of Oman on a surprise, eight-hour visit. It was the first of its kind in over two decades and led to unprecedented public visits by Israeli ministers to Gulf states. Communications Minister Ayoub Kara attended an international media conference in Dubai, and Culture and Sport Minister Miri Regev attended the international judo contest in Abu Dhabi, capital of the United Arab Emirates, where Israel’s national anthem was played after two gold-medal wins. A week later Transportation Minister Israel Katz arrived in Oman for an international conference.